Our dad was a simple man and didn’t want for much but to be with his family, animals, enjoy the outdoors, and make everyone laugh. He was the life of every party – his storytelling would captivate everyone in the room. As a teenager, our buddies would say “invite your dad, invite your dad”, because they knew that, like us, he just wanted to have a good time. Dad was a true cowboy at heart – hat, boots, buckles, ropes, wranglers – and loved his wide open spaces. He loved being out in nature and needed little more– just a lake, his fly-fishing gear and Coors Original. We’d have the best time out there – telling stories, calling cougars and getting rowdy. He taught us all how to have fun. 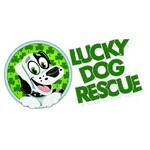 Please donate to Lucky Dog Rescue on Dad’s behalf, and help his love for animals and life live on.